Migraine is more than just a headache. It is a neurobiological disorder involving vascular and neurological changes in the brain during an attack. 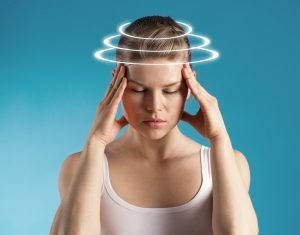 This pulsating headache can have a considerable effect on the quality of life of those affected. When a migraine strikes, it can be completely disabling and disrupt every day life. Making lifestyle changes can help reduce the frequency and severity of migraine attacks. In this post, we’ll discuss the most effective ways to manage your migraines. • Use temperature therapy – apply cold compresses to your head and neck. Cold compresses provide anti-inflammatory relief that can help lessen the pain of a migraine. • Massage and yoga exercises that focus on mindfulness can ease a migraine attack. Moderate exercise such as swimming, walking or cycling can help to make your migraines shorter and less intense. Exercise helps to reduce stress – a common cause of migraines – and it also aids relaxation. Additionally, when we exercise, the brain releases endorphins which act as the body’s natural painkiller. Oversleeping, sleep deprivation, and changes in sleep patterns can trigger a migraine attack. Additionally, if you already have a migraine, getting a peaceful sleep at night can be tricky. Here’s how you can manage migraines caused by sleep. • Get 7-9 hours of sleep each night, even on weekends and holidays. If you must nap during the day, keep it short. A nap of at least 20 minutes is best. • Avoid taking stimulants such as caffeine a few hours before sleep time. Caffeine may interfere with sleep patterns. • Minimize distractions before sleep. Avoid watching TV, working or eating before sleep. • Don’t skip meals – fluctuations in blood sugar can cause a migraine attack. Be sure not to go longer than three hours without food. Additionally, include protein in your diet to help maintain a steady level of glucose. • Make observations on the foods that cause your migraine attacks to help you identify potential food triggers. • Add magnesium to your diet – magnesium deficiency may cause migraine in the brain and also affect serotonin (a key molecule related to migraine). Studies show that magnesium oxide supplementation can prevent menstrual-related migraines and migraines with aura. • Avoid foods that trigger a migraine – frequently reported triggers include caffeine, processed foods, and meats, alcohol, fermented foods, cheese, smoked fish and dried foods among others. These are some of the ways to help cope with your migraines. However, they may take some time to provide relief. A great alternative to managing your migraine attacks is to consult a chiropractor. Studies show that care offered by chiropractors can reduce the frequency and intensity of migraines. An Ealing chiropractor can assess, diagnose and manage your migraines effectively.